Hard to define, easy to know when you have it, this thing called friendship. Reflecting today on this thing we call friendship that means so many different things to each of us. Today on this day we call a “day off” I had the chance to read some of the posts by other bloggers. A recurrent theme was about friendships, what they mean and how we know if we are a good friend or if we have one. No relationship is so important, so needed and so misunderstood as friendship. When we have friends we may wonder if they are worth the effort, but when we are without them even briefly we wish they were here. Friends are not here on earth like a prepaid credit card to use when we need them. There are those people who treat or mistreat others in the name of friendship by constantly asking from them and then being unwilling to reciprocate. Friendship is of course not ever fully reciprocal. The more you struggle in life the more you need friends. What is reciprocal is the caring about each other, not the doing for each other. Anyone who seeks out a friend for what they can do for you is being short-sighted and probably abusive. The things friends do give us are intangibles that can’t be measured in money or acts. A friend cares about you when you can’t care about yourself. They love you, sometimes because of, not in spite of, your flaws. True friends do not keep ledgers. Friendship is not a trade. They do not do 3 things for you because you did 3 things for them. Friendship is about caring sometimes even when you can’t do anything for that friend except care. Friendships usual start around shared experiences and time spent together. We go to school together and we become friends. We work together and we become friends. We may have church friends, club friends or blogger friends. Real friendship grows beyond those shared activities. Many of us have been blessed to have friends with whom we keep up relationships long after the time to share an activity has ended. People in their senior years tell me about friends they have had since kindergarten. Somehow these friendships survive years of separation punctuated only by an occasional greeting card or email. Some couples describe their mates as their best friends. The best romantic relationships often include two people who were friends first. Some couples even fall out of love but not out of friendship. There is nothing lonelier than a person without friends. Family, you are stuck with but friends you chose and they chose you. Life is a journey. We move along in time as well as space. Along that route, we meet friends. Some friends are with us for only part of the journey and others their path crosses ours repeatedly throughout our lifetime. To have friends it has been said, we must first be a friend. Being that friend takes effort. It means investing in that relationship. If you have friends you know how very important and necessary they are. If you have few or no friends you most likely already know what is missing. What you may not know is how to go about making those friends. Approach each new person as a potential new friend until they prove otherwise. Treasure those friends you have and nurture those friendships. Keep those friendships safe in the warmth of your heart. Put your hand out in welcome and see who responds. To have many friends you must befriend many. 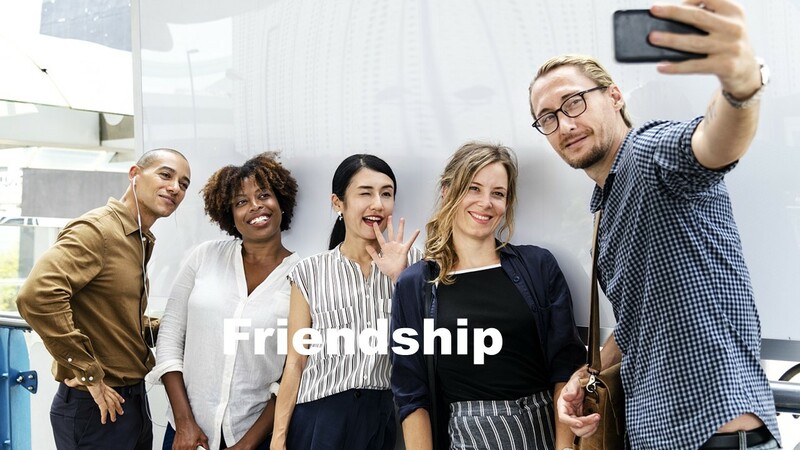 This entry was posted in Friends and tagged Best Friends, Friend, relationship, relationships, What is friendship by David Joel Miller. Bookmark the permalink.